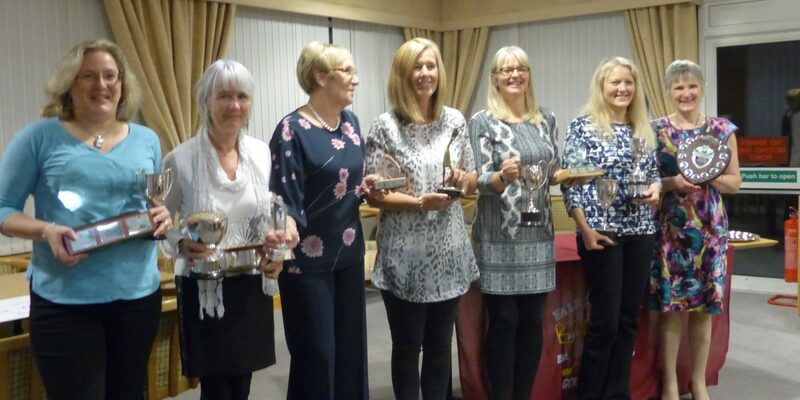 Our finalists and semi finalists at our championship prize giving on Saturday 9th June . 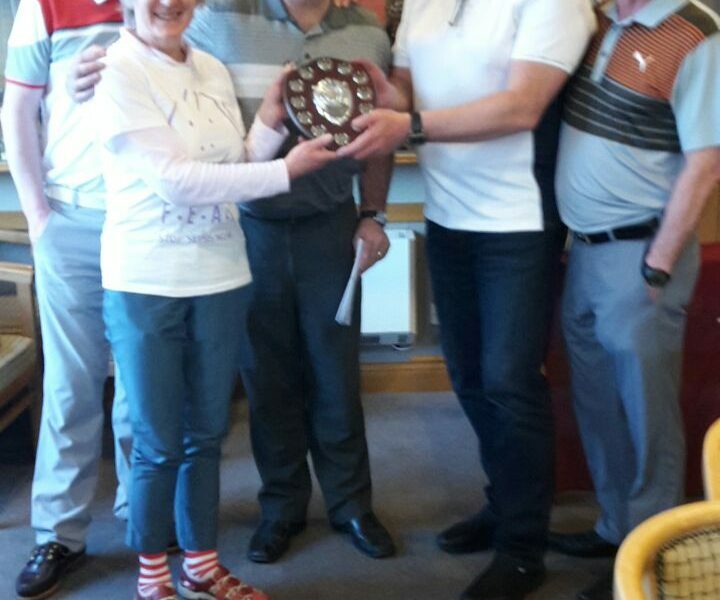 Congratulations to our champions and well done to all who participated in the knock out rounds. 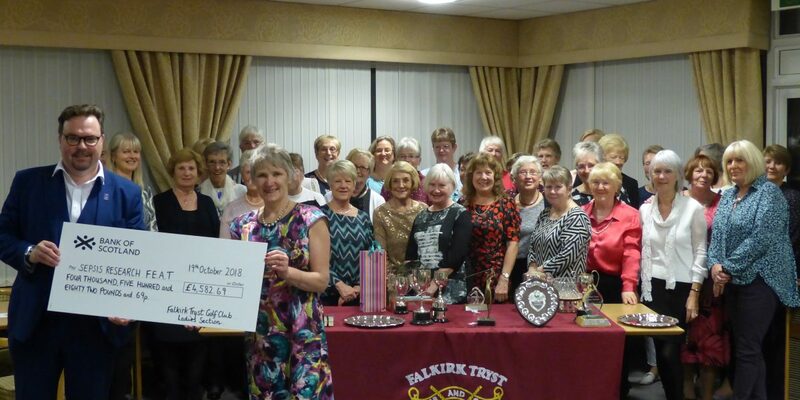 Falkirk Tryst Ladies presenting a cheque to their nominated Charity for 2017, Strathcarron Hospice, at their annual Prize giving and Dinner on 13th Oct.
Lady Captain Shiona Scott presenting the cheque for £4772.30 to Starthcarron Hospice. 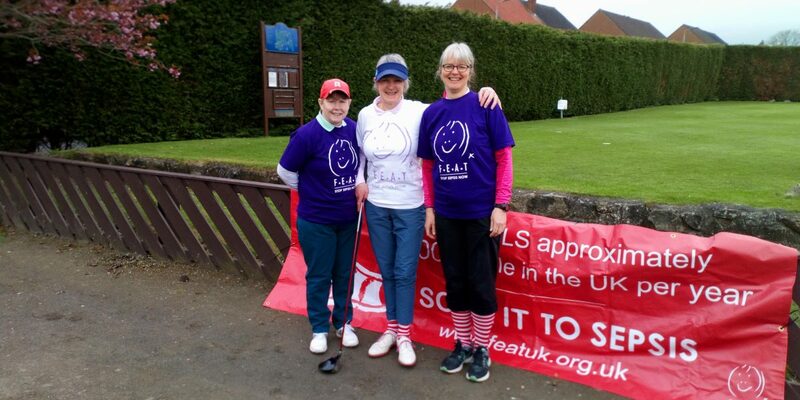 The money was raised from the annual Charity Team Day, Pro’s day and raffle at Ladies Open. 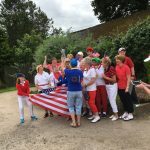 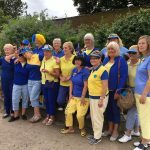 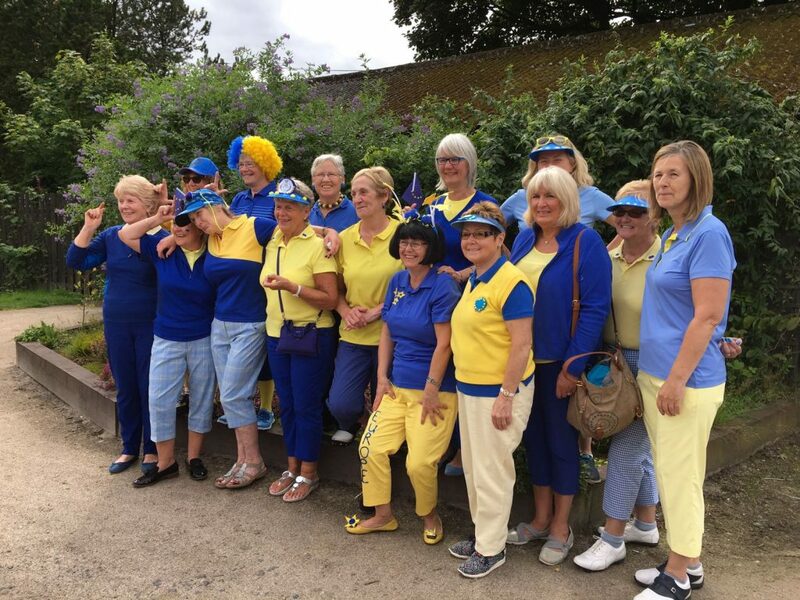 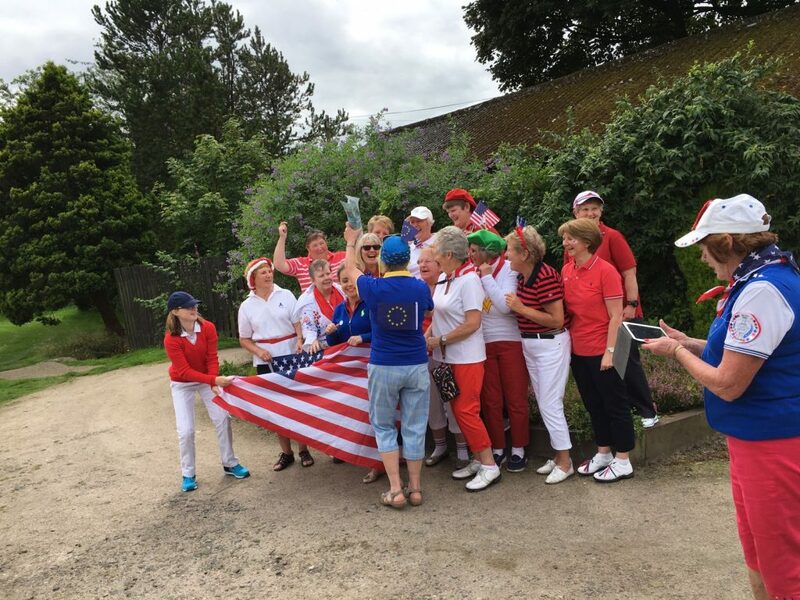 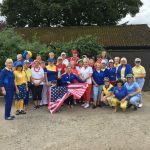 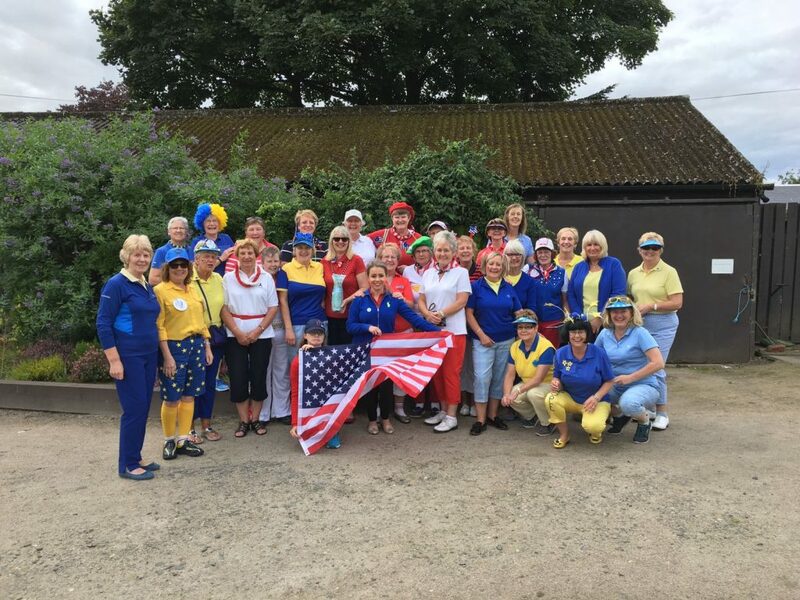 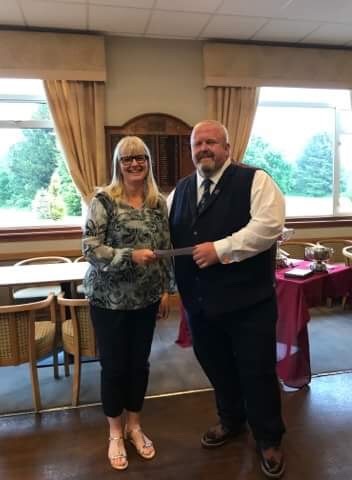 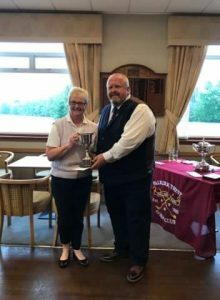 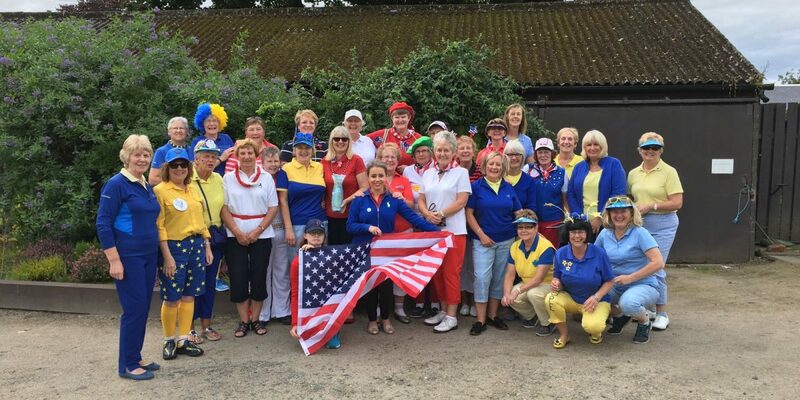 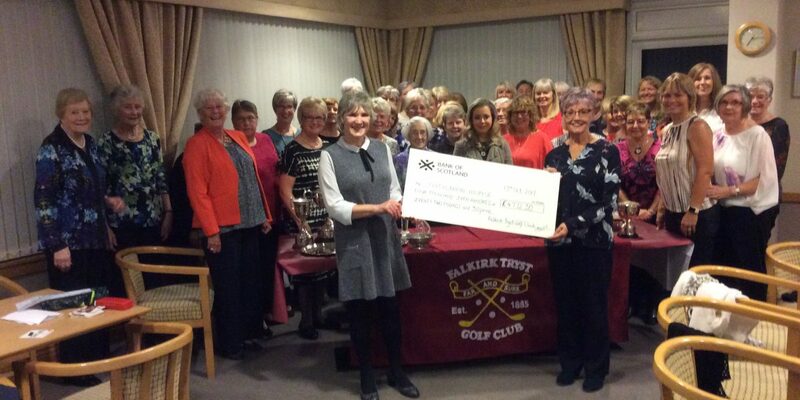 Since 2000, Falkirk Tryst GC Ladies Section have organised a Charity Day team golf competition which takes place in May each year, along with various other smaller fund-raising events and raffles throughout the year, in order to raise funds to support a nominated charitable organisation each year. 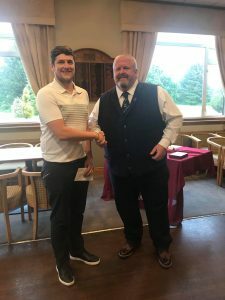 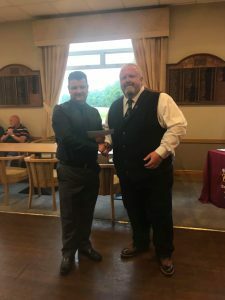 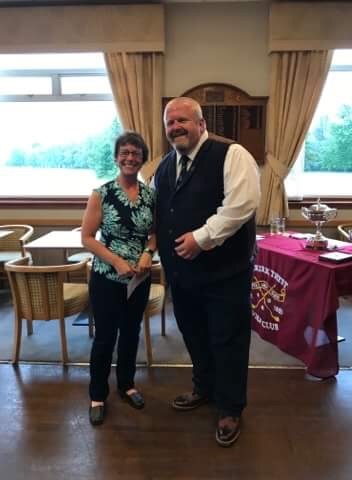 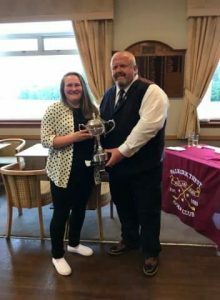 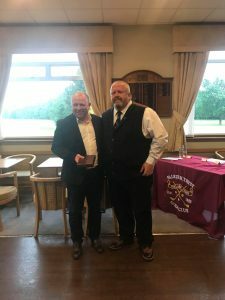 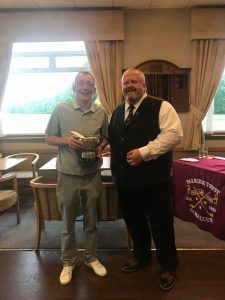 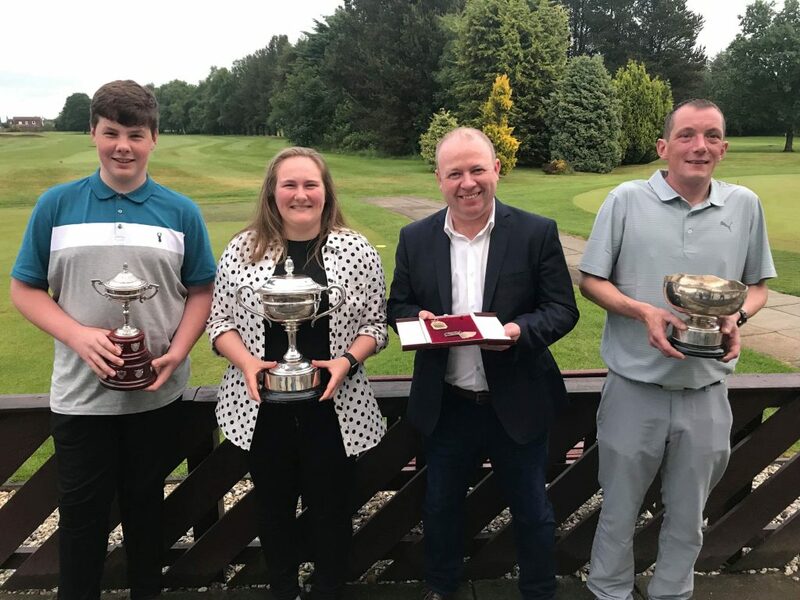 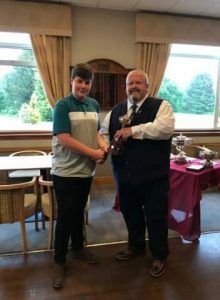 This fund-raising has been boosted over the years by support from our club professional Steven Dunsmore who has donated proceeds from his annual Pro’s Day and Race Night events. Over the past 15 years the club has raised in excess of £100,000 in support of charities including Strathcarron Hospice, Motor Neurone Disease, McMillan Nurses Forth Valley Appeal, McMillan Cancer Support, CHAS, British Heart Foundation, Teddy Bear Foundation, Yorkhill Schiehallion Unit, Prostrate Cancer, Help for Heroes, Tinnitus, Alzheimer’s, Parkinson’s, and Kidney Kids Scotland. 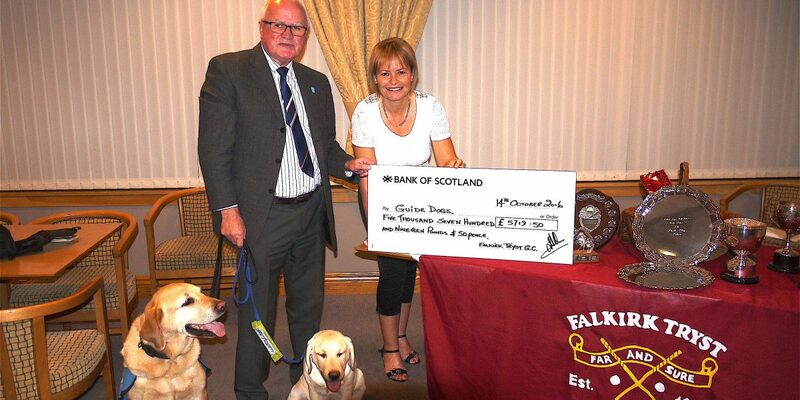 In 2016 the charity chosen to benefit from our fund-raising efforts was The Guide Dogs for the Blind Association. 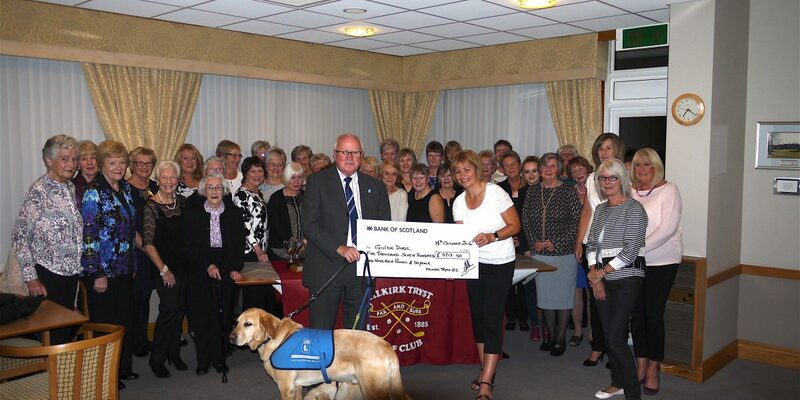 At the Ladies Dinner & Prize-giving on Friday 14th October 2016, the Lady Captain, Mrs Linda Allan, presented a cheque for £5719.50 to Tony Thornton, who attended on behalf of Guide Dogs.